Sign up for the Locked Back Newsletter to receive weekly 2nd Amendment news, shooting technique tips, gun reviews, and more. Want to become better with your rifle and pistol? Want to get the edge on the competition? Come join us in Austin for a two gun class where we will go over how to shoot fast and accurate, moving through a shooting stage, and other more advanced shooting techniques. Deliberate practice is the key to improving – here are some of my lessons learns and tips for becoming a better shooter, lessons learned from over 212 of training in 2018. 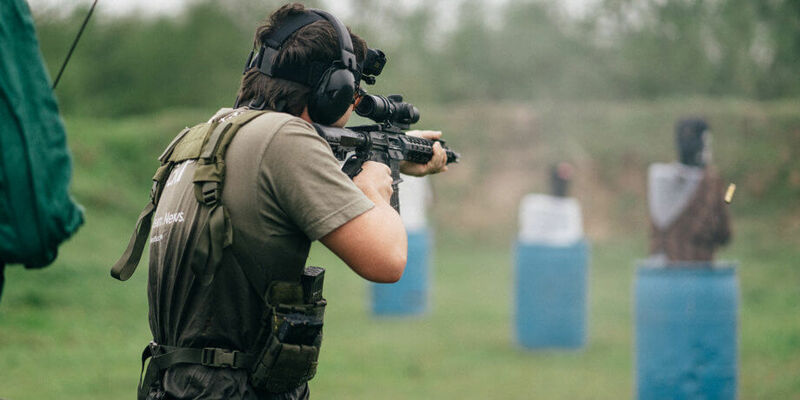 Why invest in firearms training? If you are a conceal carrier, LEO, competitive shooter, or casual plinker – quality firearms training is one of the best investments of your time and money. Attending a gun class could easily improve your shooting more than a gun that costs two to four times as much. 5 armed home invaders got more than they bargained for. 3 dead, 2 wounded – and the home owner is unharmed. Remember this whenever someone quotes to you Joe Biden’s self defense advice, claiming two shots from a double barrel shotgun into the air is good enough. The nation with most of the gun restrictions anti-gunners want is often called the “crime capitol of the world.” So in order to combat crime, Brazil is loosening restrictions on firearms. The anti-gunners’ proposals to expand background checks don’t work, is unconstitutional, and doesn’t have public support. This is a mega post pointing out everything wrong with Universal Background Checks. Trump bypassed Congress and had bump stocks banned, paving the way for many anti-gun laws to be passed without seeing a day in the Senate or Congress. Turns out the anti-gunners don’t actually care about “gun safety” – just 2nd Amendment infringements. Sign up for the Locked Back newsletter using the form below to receive weekly 2nd Amendment news, shooting tips, & more.